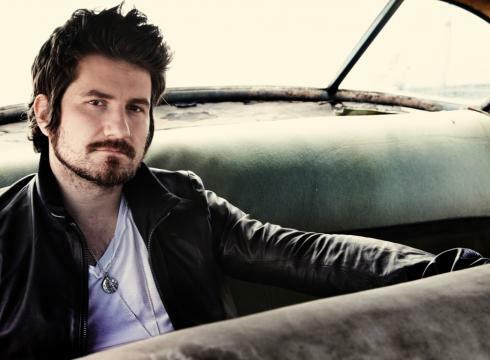 I have been a fan of Matt Nathanson since he released his live album titled "At The Point". This album is a great acoustic set of his songs, but the greatest appeal of the album is his collaboration with the fans. First of all, if this guy wasn't making music he would be making it as a full-time comedian. The guy is a riot! There are several tracks on the album that only feature his stories and commentary to the crowd including an impromptu song inspired by Philadelphia. And to this very day, his cover version of "Romeo and Juliet" that is featured on this album is my favorite song to play on guitar whenever I pick it up to play. I would recommend checking out his live album as well as picking up his new album Modern Love. Since I have followed Matt, he has always raised the bar musically with every new album release so I am looking forward to take a listen. Also, if you are looking for a free taste of the new album, you can download a single off of the new album titled "Mercy" from iTunes (This week only). Find the download link below! Also, Matt's record label (Vanguard Records) has a free download section on their site offering free songs from several of the groups artists. Check out the labels free download section below as well. Lots of good stuff!